From the moment you see the candy-colored cover with bold lettering and design, you know that Brazen by Pénélope Bagieu is something special. Pick it up and you’ll feel an appealing texture and see the appealing glossy spots that highlight some of the powerful women featured inside. Twenty-nine women are introduced in this book from athletes to leaders, circus performers to inventors. 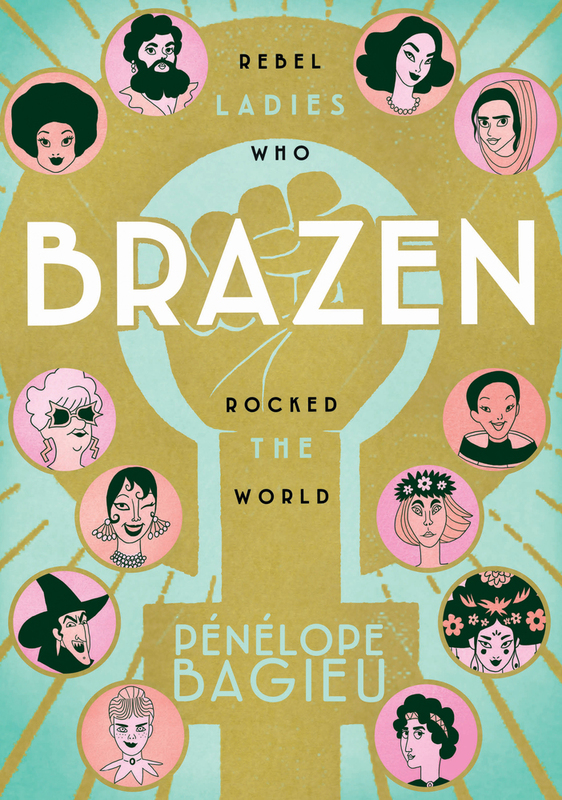 There’s no shortage of books featuring vignettes of impressive women, but Brazen finds new stories like that of Giorgiana Reid, a lighthouse keeper and Tove Jansson, the creator of Trolls. The women hail from all over the world and there will certainly be a story to resonate with every reader. Each woman is given a title page and then several pages are dedicated to telling her story, frame-by-frame, comic style. Bagieu’s illustrations feel like a throwback to the 1970’s with a modern twist. The book uses all colors, but each woman is given a few distinct colors adding to the uniqueness of their stories. Bagieu infuses action in the narrative which makes one feel as if they are experiencing a moment in history rather than just reading about it. After each woman’s story is a glorious two page spread that further enhances the reader’s understanding of the woman’s experience. Every high school and public library should have a copy of this book displayed proudly and what better timing than a March Women’s History Month release?